Makeup play, product reviews, and so much more! We’re comfortably in to the start of 2014, but I thought I would share some of my favorite products from 2013. This was a difficult to compile list (and it really doesn’t include everything). 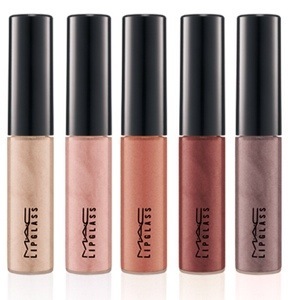 By now you probably already know a lot about the MAC Magnetic Nudes collection so this will be just a quick review of the lipglasses I got from the collection. Soon I’ll be posting my top products list(s) from 2013 as we get settled in to this new year and ready for new collections to be released. I’ll also compile a list of products that were duds for me in 2013. I’m curious about some of your favorite and least favorite items that you purchased in 2013 so please feel free to share your thoughts and opinions below in the comments! Also, I’m open to suggestions for things that you all might be interested in seeing me do with the blog this year. As always, your feedback is wanted and greatly appreciated! Hope everyone enjoyed their holidays and are ready for great things in 2014! If you haven’t already please like us on Facebook at Butterfly Eyes Facebook . As always, thank you! Butterfly Eyes is now iFabbo endorsed! Cleaning Out My (Blog) Closet! Butterfly Eyes by https://butterflyeyesga.wordpress.com is licensed under a Creative Commons Attribution-NoDerivs 3.0 Unported License.Based on a work at https://butterflyeyesga.wordpress.com.